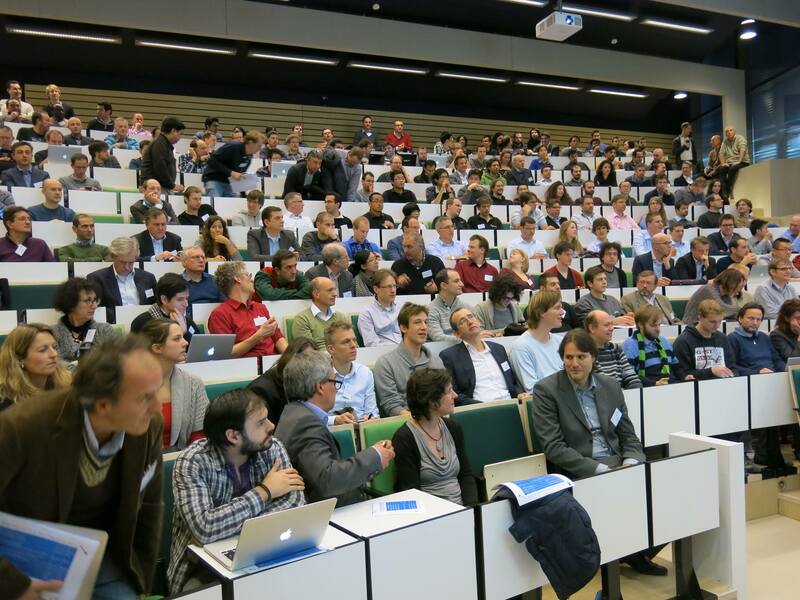 Yesterday the Delft Data Science New Year Event took place in, you guessed it, Delft! It was a fun afternoon filled with interesting talks, posters and demos. The head of our Computer Graphics and Visualization group, Elmar Eisemann, gave a talk on ‘Visualization and Big Data’ including live demos of remote rendering using Exposure Render, the webviewer of my project made by MSc student Cees-Willem Hofstede, and also his Leap Motion powered controls.